Judy Rowland-Smith has 10+ years management experience, including her current role as Executive Director. She has been with the agency close to 20 years and has a proven ability to revitalize productive programs, conceive and implement new programs. 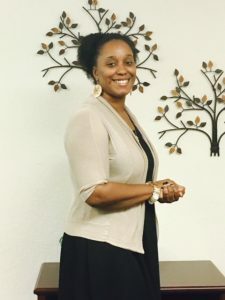 She is a State Certified Child Welfare Licensing Supervisor skilled in staff training and development, community relationship building, Board/employee relations, marketing leadership and strategy planning. As Executive Director, she is responsible for managing the annual budget and leading the senior management team. She is accountable for strategic planning, human resources, finance management, fundraising and policy making in a joint effort with the Board of Directors. Mrs. Rowland-Smith serves as the public spokesperson for the organization; delivers presentations to various groups and manages media relations. Michelle Costley is a State Certified Child Welfare Trainer, Case Manager and Licensing Professional. She holds a B.S. in Health and Human Services and Business Management from Indiana State University. She is an accomplished and dynamic professional with a solid reputation for maximizing organizational performance and influencing process improvements to support objectives. She has held positions of authority throughout the Hillsborough County Child Welfare system and provided influential leadership, coaching and mentorship with the goal of maximizing staff potential. 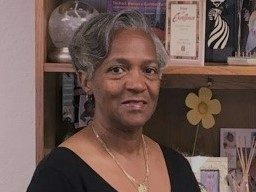 In her role as Program Manager of the Foster Care and Adoptions Program, Ms. Costley oversees the daily operations of the program, supervises staff to maintain on-going compliance with State licensing guidelines, optimize recruitment and retention efforts and foster parent advocacy. Robert Davis is the Operations Director for the Enhanced Kinship Care Program. He has been employed with the agency since 2007. Robert graduated from the University of South Florida with a M.A. in Guidance and Counseling (K-12) and an Ed.S. in Educational Leadership. Mr. Davis served as an educator in the Hillsborough County School System and Program Administrator at the University of South Florida prior to joining the Family Enrichment Center’s Management team. Mr. Davis oversees the day to day operations of the Kinship Care Program in his role as Operations Director. He supervises direct care staff; monitors administration accuracy of family functioning assessments and treatment planning to ensure the preservation of family systems.